Slightly Felted & Oh So Soft! 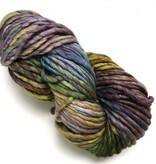 Malabrigo Rasta yarn is a single ply merino wool. 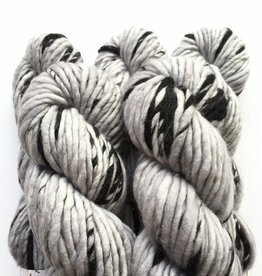 We love the slightly felted feel of this bulky yarn which works up into the most wonderful warm and squishy fabric. The color selection is vibrant and saturated and varies from tonal to variegated combinations of color. This yarn is perfect for quick knit or crochet hats, mittens, cowls, scarves or sweaters. Please remember to hand wash your finished items. 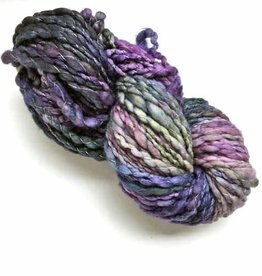 Chubby is a single ply bulky weight Merino wool yarn created by Hedgehog Fibres. This yarn mixes natural black fibers with vibrant pops of hand dyed colors.